Every school year is a journey. Nature through the Seasons anchors that journey to the magic of the changing seasons. The leaves turning to their autumn splendor. The thrill of wild creature tracks on fresh snow. New life emerging from the rich earth. 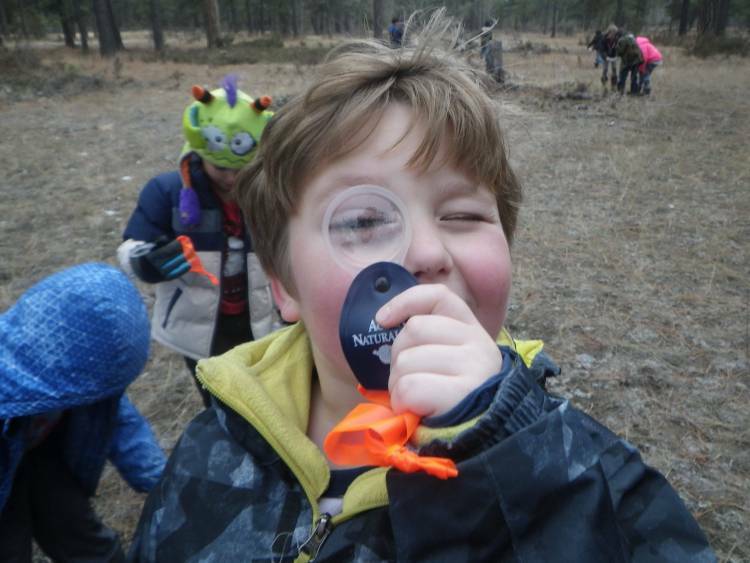 Our educators take Kindergarten to Grade 3 classes on a journey through the changing seasons with three half-day field trips—and support teachers in weaving the magic of the changing seasons throughout the entire school year. Building on Winter Wonder, we’ve added Fantastic Fall and Splendid Spring to help students discover the wonder of the changing seasons. Teachers wanted more depth in our outdoor education programs for primary students. 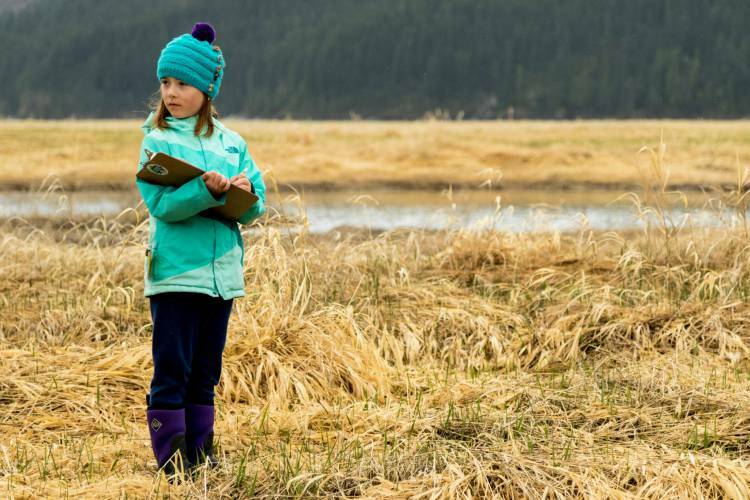 Nature through the Seasons delivers not just three field trips, but also ideas and suggestions for extensions to support teachers in exploring the patterns and interconnections of nature through the changing seasons. Each Nature through the Seasons journey is a collaboration between students, teacher and Wildsight educator, working together to tune into the rhythms of seasonal change. Student-led inquiry into the plants and animals in their wild backyards builds outdoor core routines. Our educators work collaboratively with teachers to authentically incorporate place-based outdoor teaching practices throughout the school year. For every school year, our educators sit down with teachers to plan a full seasonal cycle of activities, resources and games to bring nature into the classroom in every month. And our educators are there to support teachers all year, adapting Nature through the Seasons for each individual classroom. Of course, Nature through the Seasons targets Core Competencies and Big Ideas in the new primary curriculum. We’re piloting Nature through the Seasons in twelve classrooms in 2017/18 with many more in the following year. For more information, get in touch with our Education Director. Wildsight thanks the Columbia Basin Trust, the Hamber Foundation, TD Friends of the Environment and all of our individual donors for making this program possible.